Hello beauties. What's in store for us today in this segment of "beauty with nava-k? I bet I have already given you the clue? That's right ladies. 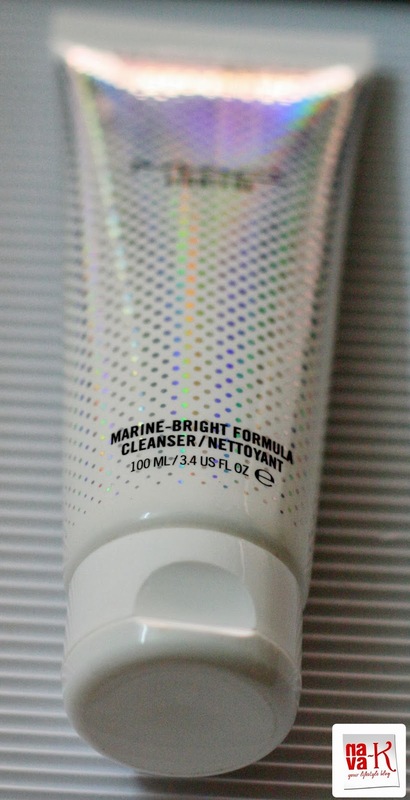 I am going to speak about MAC Marine-Bright Formula Cleanser. Of course at the end of it all, its your choice. You decide its worthiness and also if you are willing to pay RM109.00. Sorry, I can't decide for you because what is promising to one may not be to the other and the interpretation of affordable brings different meaning to each of us. Nevertheless, I won't deprive you of a honest beauty review, neither will I throw in flowery words for the sake of wanting to be in the good books of MAC brand. Alright, lets not waste anymore time. Let me hit the nail for unveiling the goodness and the point of what is promised but not delivered by MAC Lightful Marine-Bright Formula Cleanser (Shu Uemura Whitening Emulsion & Shu Uemura Foaming Cleansing Water). Why MAC instead of a familiar brand this time around? Well, I do get carried away by word of mouth of other MAC customers. Henceforth, I wanted to give it a shot and MAC Lightful Marine-Bright Formula Cleanser obviously was the triggering product for starting me off. 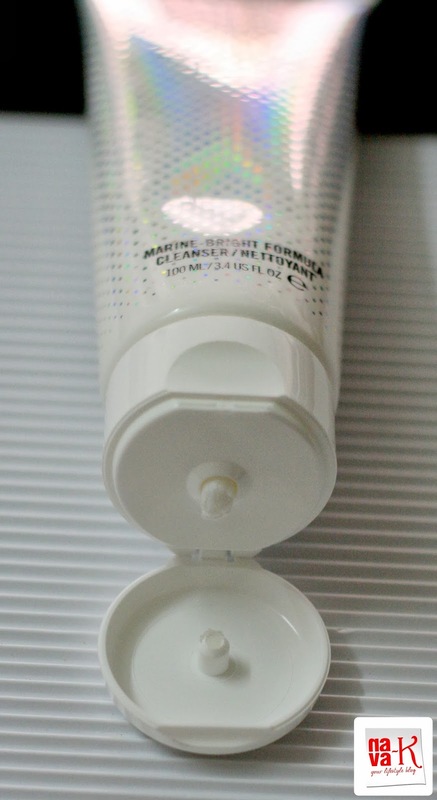 Refreshing, creamy and a dense foam that gently and thoroughly cleanses, MAC Lightful Marine-Bright Formula Cleanser is sealed with potent addition of vitamin C. Enhanced with Marine-Bright Formula and Super-Duo Charged Water to intensify the overall benefits to the skin, this cleanser actively cleanses, re-balances, refreshes, hydrates and brightens without dehydrating. Rinses off easily, leaving a delicate signature scent and is newly packaged in a silver holographic pattern. Packaged in a shiny attractive pearlescent tube, apart from fruit and root extracts, MAC Lightful Marine-Bright Formula Cleanser containing caffeine and glycerine should be hail because? Its paraben free. Great, isn't it? I know. Its unique, light and refreshing scent is of no qualms for me, additionally, I like the fact that a tiny bit of this pearly white, thick and lathering well in a natural way is a fair deal. Instantly melting once I lather with water and going on smoothly on my face. Moreover, this non harsh cleanser washing off quickly upon water splashing does not cause any tingling or burning sensation. Leaving me fresh and plain clean without traces of residue, it does not strip away my vital lipids, but you should lower down your expectation if you are expecting it in a big way for moisture locking. It didn't for me. Nothing favourable on that count, as well as brightening. 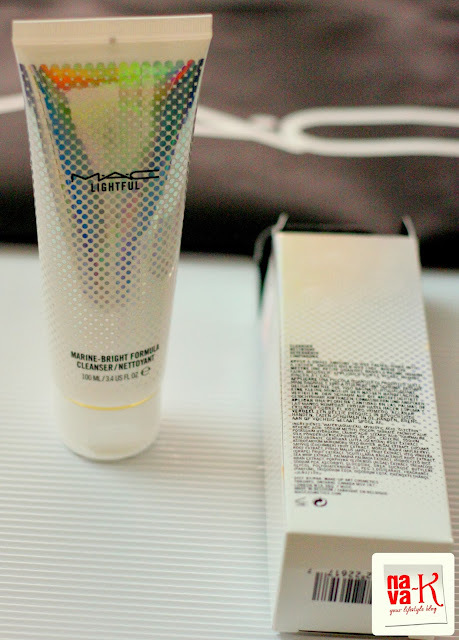 MAC Lightful Marine-Bright Formula Cleanser basically is a cleanser that does the job of cleansing and please, I know this is going to sound corny, nevertheless, I must warn you from using it on your lips and around your eye area. Do it and face the consequences which by far I can't tell you. Lasting. As far as I have figured out, MAC Lightful Marine-Bright Formula Cleanser I think can you through for maybe 6 months, twice a day use. Packaging wise, hardy for travel packing, yet, I suggest you repack it in smaller container instead of the carrying the whole of it. Unless you insist the whole tube must be with you while travelling, please ensure that the flip cover is tightly secured each and every time you use. In case, you never know? Spillage? Decision time now. Decide if MAC Lightful Marine-Bright Formula Cleanser should be the cleanser for your face beauty bountifulness. 100ml...just nice. can take into plane right? Hey thanks for the review!! Love the packing, nice review.